2. 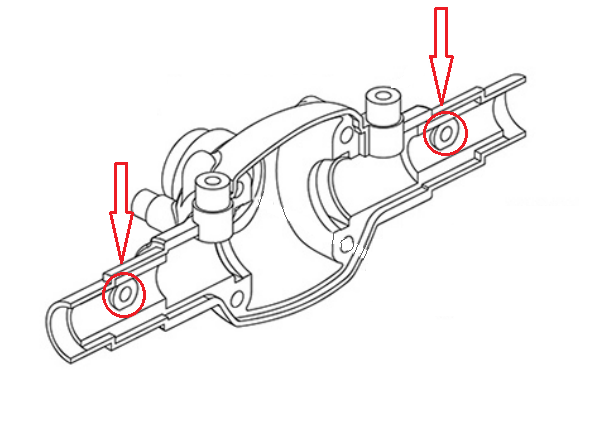 Using a Dremel/rotary tool equipped with a sanding drum, remove the lip (on both housing halves) circled in red in Fig. 1 below. 3. Reassemble the axle with your Beef Tubes in reverse order that you disassembled it. 4. Go out and beat on your rig!